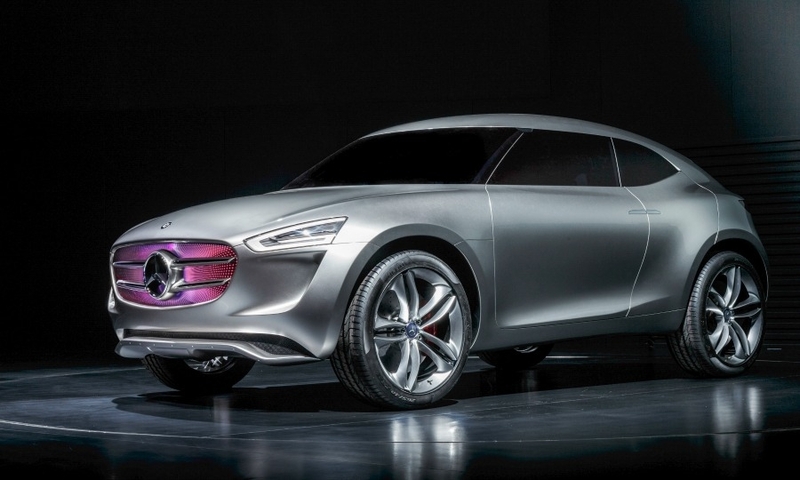 The Mercedes-Benz G-Code concept could preview the look of a rival to Audi's Q1, media reports said. 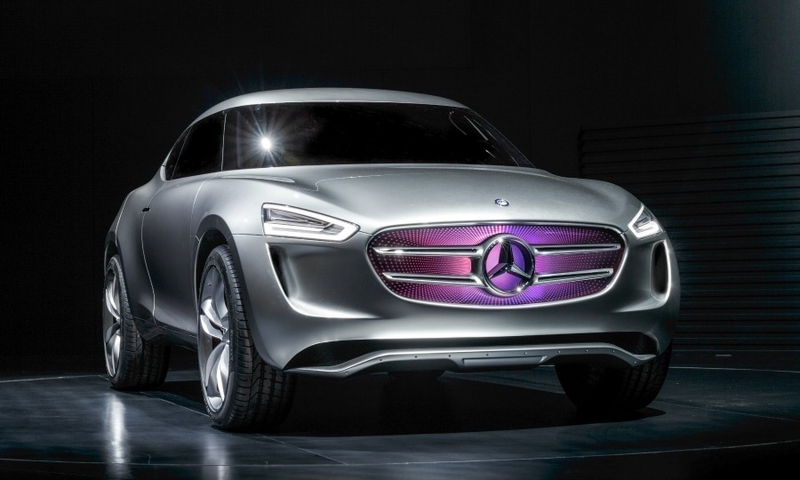 Mercedes unveiled the subcompact SUV concept on Tuesday during the opening of parent Daimler's new product engineering center in Beijing. The G-Code was designed jointly in Beijing and at Mercedes' main styling studio in Sindelfingen, Germany, Daimler said in a statement. 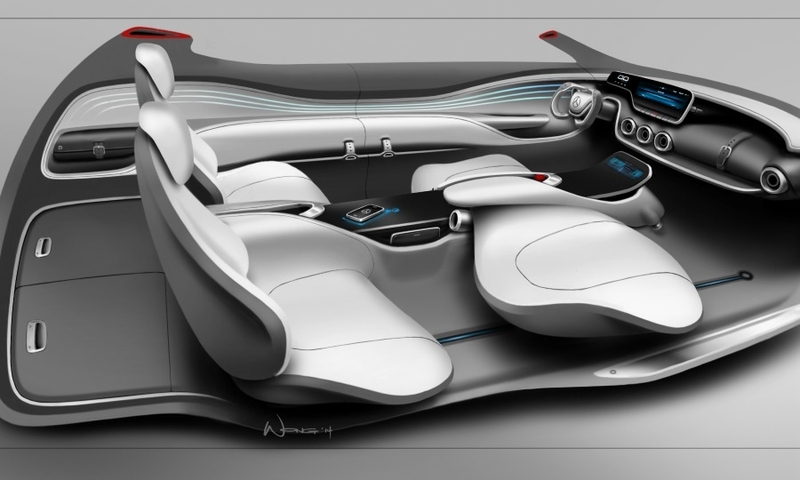 Daimler design chief Gorden Wagener said the concept was inspired by a lifestyle of digital cultures of contemporary Chinese society. "It’s an embodiment of our design philosophy of sensual purity, there is not a single line on it. The car is completely pure, everything is free form," he said the center's opening event. 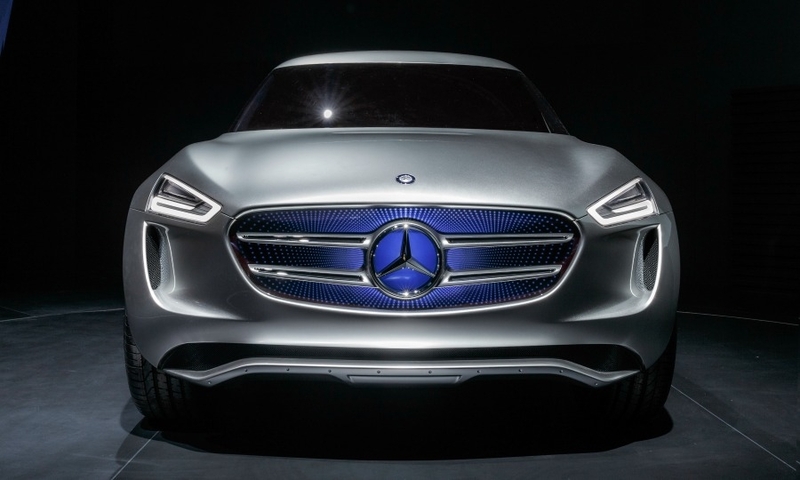 Hubertus Troska, Daimler's China Chairman, said: "We haven’t decided when to bring it but it is meant to show this is just the beginning of a range of beautiful concept cars designed here in this new studio, anticipating future trends of China and influencing Mercedes-Benz's worldwide future design direction." Autocar and other automotive magazines said the concept previewed a new SUV to be positioned beneath the A-class compact car range. Audi has said it will start production of the Q1 subcompact SUV in 2016. Premium automakers have been slow to react to the success of the subcompact SUV sector in Europe, which is expected to surpass half a million sales this year, rising to 1 million by 2020, according to IHS Automotive. The G-Code is powered by a plug-in hybrid drivetrain that combines a hydrogen fueled turbocharged engine to an electric drivetrain mounted in the rear. It is 4100mm long, 1900mm wide and 1500mm tall. The design removes the B-pillar and hinges the back doors on the rear edge to give wide access to the interior. The steering wheel folds out when the car is switched on via a smartphone while screens positioned at either end of the long central display act as wing mirrors fed by two external cameras. 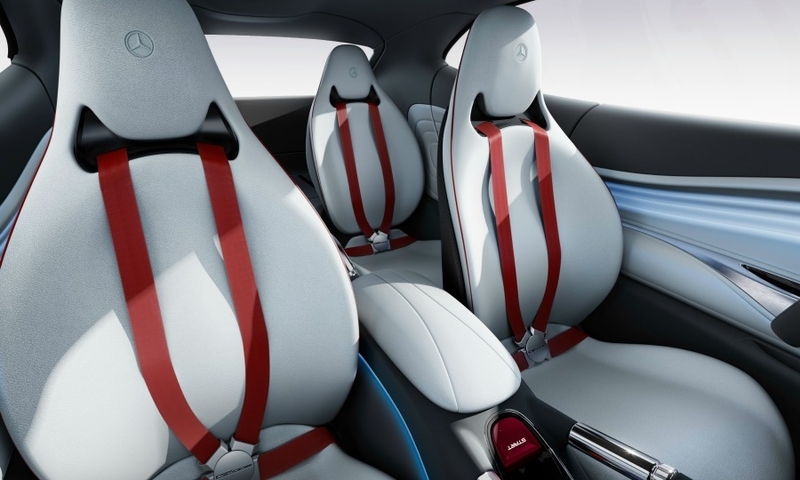 The seating inside is described as a 2+2, suggesting the rear seats are for occasional use only. In the trunk two electric scooters slot into recharging bays ready for use in city centers once the car has been parked. 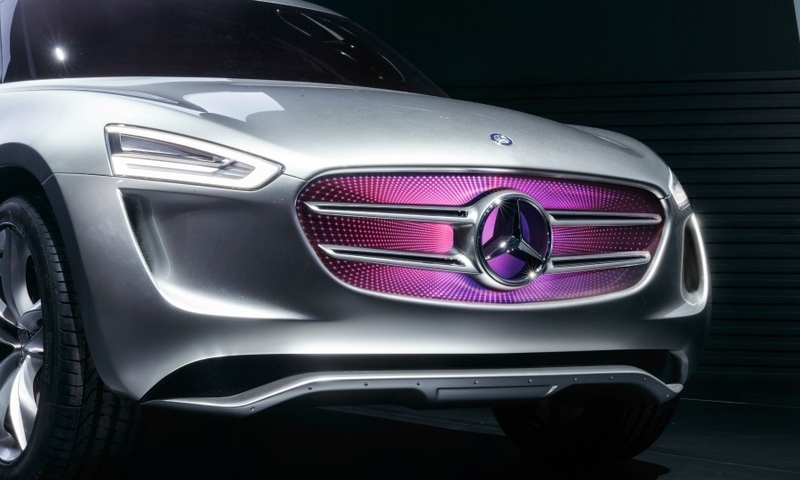 The car is covered in a special silver photovoltaic paint that Mercedes said can top up the battery while moving or parked using energy from the sun. 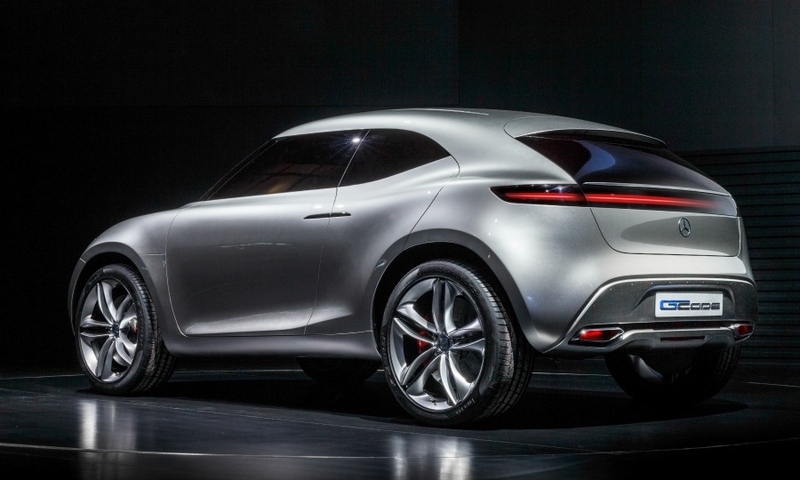 If built, a production version of the concept would join a coupe-styled variant of the M class due next year based on the Concept Coupe SUV unveiled in April at the Beijing auto show. Mercedes sources told Automotive News Europe that this SUV will be called the GLE Coupe as part of a new naming system for the brand’s SUVs that will see the M class rebadged as the GLE to reflect its positioning in the E-class range.